The Danada Equestrian Center at Danada Forest Preserve in Wheaton offers lessons, camps, group tours and other educational and recreational experiences year-round. Danada Equestrian Center hosts the annual Danada Fall Festival on the second Sunday in October. This one-day event features equestrian demonstrations, horse-drawn hayrides, barn tours and a variety of children’s activities. Danada Equestrian Center is located at 3S507 Naperville Road. Danada House is located at 3S501 Naperville Road. Individuals 12 and older can learn valuable horsemanship and riding skills in a friendly group setting or receive one-on-one instruction with individual lessons. Horsemanship I is for inexperienced riders as well as riders with experience who need a refresher course. Students receive hands-on instruction in haltering, grooming, leading and tacking and learn basic riding skills. Register online. Horsemanship II is for students who successfully completed Horsemanship I and want to improve their skills. Register online. Horsemanship III is for intermediate riders who continue to practice techniques from Horsemanship I and II. Students prepare their horses for riding with little to no assistance and learn to ride a balanced seat in a western saddle. Register online. Horsemanship IV is for intermediate and advanced riders who continue to practice techniques from Horsemanship III and want to establish a balanced seat and perform intermediate and advanced skills associated with the walk, trot and canter. Register online. Individual lessons allow students to progress at their own pace and achieve personal riding goals. They’re also a great way to work on a specific skill that needs extra attention. Students can register for single lessons or a package of five that meet at the same day and time each week. Packages help riders advance more quickly than lessons taken weeks apart and allow the instructor to design five-week lesson plans to help students better reach their goals. Register online. Interested in spending time with a horse but don't care to ride? Want to get comfortable around one on the ground before moving on to your first lesson? Then join us for 45 minutes of one-on-one horse grooming time followed by 15 minutes of lectures or ground work. (Lectures may include stall vs. pasture, breeds, and behavior; ground work may include basic leading skills.) Ages 10 and up. To register, call 630-668-6012. The Horse Ownership Lecture Series will provide the prospective horse owner or horse enthusiast with an in-depth look into the daily, annual and lifelong care of horses. Individual lecture topics may include conformation, horse health, feeding, horse behavior and leasing vs. owning. Lectures will take place indoors and, weather permitting, may include handling of horses in the Kentucky Barn. Please dress accordingly. To register, call 630-668-6012. Our five-part trail classes focus on the educational aspects associated with trail riding on trails, including those in DuPage forest preserves. Students will learn trail etiquette, safety and riding skills for trail riding through groundwork and mounted instruction. The first part of the class will be held indoors to review trail skills and what to expect outside an arena. The instructor will select trails to be ridden and determine the length of time spent outside the arena. Intermediate students will ride in western saddles and maneuver through, over and around intermediate trail obstacles inside and outside of the arena. Students enrolled in Horsemanship III Trail Ride Class must have completed Danada’s Horsemanship III class or above within the last year. Students who have taken private lessons at Danada within the last year will need instructor approval before enrolling in Horsemanship III Trail Class. Advanced students will ride in western saddles (English saddles can be used with instructor approval) and will maneuver through, over and around intermediate/advanced trail obstacles, both inside and outside of the arena. Students enrolled in Horsemanship IV Trail Ride Class must have completed Danada’s Horsemanship IV class within the last year or must have instructor approval to move on from Horsemanship III Trail. Students who have taken private lessons at Danada within the last year will need instructor approval before enrolling in Horsemanship IV Trail Class. Learn how to safely ride and care for horses, gain an understanding about their instincts and behaviors, and discover humane and effective methods for training them. You must turn in requirements 1b and 4 at the start of the program. Ages 12 –17. To register, call 630-668-6012. Kids and teens ages 10 – 14 can enjoy hands-on experiences with horses and the chores of a working barn. These summer day camps offer horse-related games and crafts and either lead-line rides or daily lessons. Enjoy hands-on experiences with horses and the daily activities of a working barn as well as lead-line rides, stable chores, games, crafts and Friday Family Day. Register online. Enjoy all the fun of Horse Sense camp with the wonders and challenges of a daily riding lesson with a Danada instructor. Register online. This one-hour tour of the equestrian center’s Kentucky-style barn introduces horse behaviors, types of feed, saddles and tack and includes a grooming demonstration. (It does not include any horseback riding.) If interested complete and return the guided group tour application (PDF), and call 630-668-6012 for availability and reservations. Enjoy cultural and natural history stories on guided tractor-drawn hayrides on regularly scheduled dates throughout the year. Horse-drawn hayrides (first come, first served) and private group rides (with advance reservations) are available on some weekends each fall. Questions? Call 630-668-6012. Danada Equestrian Center hosts "Horsin' Around" themed days for family and friends. These fun-filled equine activity days may include painting demonstrations by Nick the painting horse, self-guided barn tours, tractor-drawn hayrides ($5 per person; under 5 ride free), up-close-and-personal visits with the Danada herd of horses and more! All ages. Free. No registration. Questions? Call 630-668-6012. Spring Fling Egg Hunt Saturday, April 20 Noon – 4 p.m.
Kentucky Derby Day Saturday, May 4 Noon – 4 p.m.
Mustang Appreciation Saturday, June 8 Noon – 4 p.m.
Tractor Day Saturday, Aug. 24 Noon – 4 p.m.
Fall Colors Saturday, Sept. 21 Noon – 4 p.m.
Halloween Trick-or-Treat Saturday, Oct. 26 Noon – 4 p.m. The 19-room Danada House was once the home of Dan and Ada Rice. Today, the house and its bright, airy annex are available for receptions, meetings, showers, parties and other catered functions for up to 250. It’s managed by the nonprofit Friends of Danada. 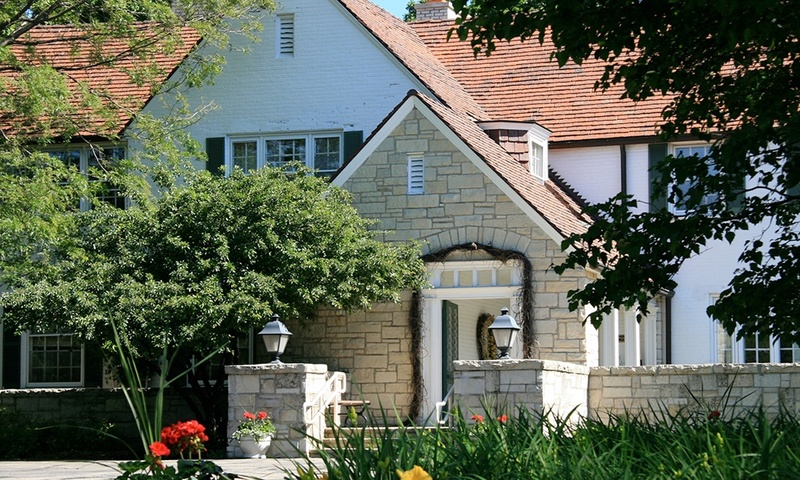 For rental information, visit danadahouse.com (link) or call 630-668-5392. The adjoining gardens showcase native and ornamental plants. A permeable brick paver parking lot limits runoff by allowing water to slowly seep into the ground. Rainwater feeds a courtyard water feature, and decks, arbors, pergolas, trellises, benches and fences feature low-maintenance materials. West of the house, a synthetic turf lawn absorbs up to 6 inches of rain an hour while remaining attractive even after heavy foot traffic. The equestrian center and most of the surrounding Danada Forest Preserve were part of the Dan and Ada L. Rice estate. The Rices purchased the land in 1928, when it was a working farm with apple orchards, wheat and corn fields, and grazing lots for livestock. In 1943 Dan bought eight Thoroughbreds for his wife’s interest in horse racing, and the Ada L. Rice Stable was born, a legacy that would last 32 years. The farm produced many champions and served as a training facility. The Rices patterned their 26-stall barn after the white dormered-window stables in Lexington, Kentucky. The “Kentucky-style” design, which features center stalls surrounded by an inside aisle, allowed trainers to exercise their Thoroughbreds even in bad weather. The 0.5-mile regulation racetrack west of the barn conditioned yearlings that arrived from a sister farm in Kentucky. In 1965 the Rices’ Lucky Debonair, a bay colt, crossed the wire first in a neck-to-neck finish for a $112,000 Kentucky Derby purse. One year later, their Thoroughbred Advocator placed second. The center's office is open Monday –Friday 8 a.m. – 4 p.m. It is closed on Saturdays, Sundays and select holidays. The barn is open Monday –Friday 8 a.m. – 8 p.m. and Saturdays and Sundays 8 a.m. – 6 p.m. It is closed on select holidays. See more Danada Equestrian Center's volunteer opportunities. Our Danada Equestrian Center offers horseback riding lessons, camps and group tours year-round. Sign up today!